I recently conducted a nationwide poll in association with the same guys who get the election results wrong every time. Our field operatives were members of the NOIDA police department for their outstanding work in the Aarushi Talwar murder case. They were standing outside the crime scene while everyone else was freely walking inside. 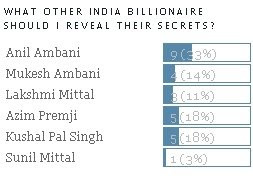 My poll revealed that people everywhere want to know secrets about Anil Ambani.I would gladly tell people all his secrets but unfortunately for me his brother Mukesh can always claim the ‘First Right Of Refusal’ and prevent me from revealing all his secrets. I am however not bound by the right of refusal to disclose just one secret. 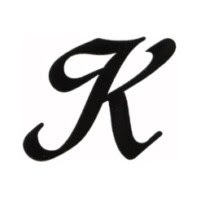 I plan on disclosing that one secret through a 35,987 episode series produced by Ekta Kapoor.Ekta has assured me that there is enough material in that one secret to create a TV show that will last forever. For the sake of numerology we will add extra K’s to the title of that show and call it “Anil Kkkkiii Kkkkkkkahani”.It will be sponsored by Colgate Toothpaste and B-Tex itch removing cream.Nirma, Pepsi, Parachute Coconut Oil and Sunsilk will be the other associate sponsors. The secret is based on the concept of the right to refuse things and how brothers interfere in each other’s rights by refusing first the other’s right to rightfully establish their rights. It’s about how Anil had the right to buy a South African Telecom Company but how that right was refused by his brother who himself had the right to refuse it. In return Anil refused Mukesh’s right to build a helipad on his 2 billion dollar home by having the Government's Environmental Agencies refusing Mukesh’s right on behalf of Anil. To further his revenge Anil refused Mukesh the right to present two planes to his wife by having Customs officials refusing the right to present planes to wives on behalf of Anil .This right was based on the Department Of Customs’ right to refuse the entry of planes since their right to customs duty was violated by Mukesh. Even though Mukesh had paid the customs, Anil had used his right to refuse the transfer of funds to the Customs Department. Anil also refused Mukesh the right to use those planes after he had rightfully paid the Customs Department.Anil had secretly used his right to hire pilots to fly Mukesh’s planes from the roster of Air-India .These pilots were specialists in maintaining their right to sleep while flying planes. This led to the Civil Aviation Ministry using its right to refuse Mukesh’s planes from flying because the right of pilot’s sleep can be overwritten by the ministry’s right to refuse sleeping pilots to fly. As a result the wife of Mukesh had to go by car instead of the plane. Rising fuel prices forced them into poverty which led them to coming to the house of a stock market genius called Rakesh who had himself survived the fuel crisis as he had wisely invested in alternate fuel sources like Praj Industries. That’s where the series is fast forwarded by 20 years and the right to refuse is now repayed by Mukesh to Anil. Actors for this show will be recruited by my new management consultant Gautam Ghosh who will himself be refusing offers from UTVi because they cut his TV appearance from 2 hours to 20 seconds. It’s also about Rafael Nadal’s right to refuse Roger Federer his 6th Wimbledon title and Ajantha Mendis’s right to refuse India an Asia Cup victory. However India will eventually refuse Sri Lanka the right to win. First Right of Refusal-A Beautiful Concept.